Home History & Politics How Many People Survived The Titanic? One of the deadliest maritime disasters in history was the sinking of the Titanic. This tragic event occurred April 15, 1912 after the passenger vessel collided with a iceberg in the middle of a foggy North Atlantic Ocean. The accident took the lives of approximately 1,500 people who perished in the cold icy waters. Though many facts are disputed, one questions begs a definitive answer; How Many People Survived The Titanic? The ship was built by Harland and Wolff shipyard in Belfast and operated by White Star Lines. 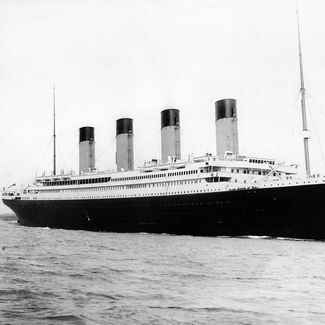 After completing tests for sea worthiness, the Titanic was famously declared “The Unsinkable Ship.” At the time of its maiden voyage, it was the largest ocean passenger vessel in the world. The ship set sail on her maiden voyage on April 10, 1912. The passenger list contained the names of some of the wealthiest people in the world. The ship was scheduled to travel from Southampton, UK to New York City. Late in the evening on April 14, 1912, the Titanic was cruising in foggy conditions leaving visual steering severely hampered. Despite warnings of icebergs in the area, the Titanic was sent slightly off its intended course, but maintained normal speed. At around 11:30, a large iceberg was spotted in the ship’s path and the collision became inevitable. The hull was struck and buckled from the blow. It took a little less than 3 hours for “The Unsinkable Ship” to sink. Because of a number of factors, it has been difficult to establish exactly how many passengers began the voyage. The varies from approximately 1,490-1,635 depending on which historical account is used. The number of survivors is bit more conclusive. The total number of survivors is 710 according to British Board of Trade. Most accounts come in at or very near that number. In the end, only 330 bodies were actually recovered. The other approximately 1,200 sank in the wreckage or drifted hundreds of miles out into the sea before finally sinking. The disaster has always been the source of much curiosity. Several movies and documentaries have been made depicting the disaster. The most famous of these would be the 1997 movie titled “Titanic” staring Leonardo DiCaprio and Kate Winslet. The movie earned the Oscar for “Best Picture” and now sits as the second highest grossing films of all-time. Through books and movies, the story has be retold over and over. While the numbers may never be known for sure, the Titanic will always be considered one of the deadliest maritime disasters in history. 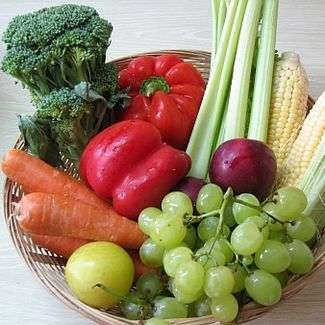 What's the Difference Between Fruits and Vegetables?